While Delaware maintains one of the oldest beer-brewing traditions in the United States, its history has largely been lost or forgotten over the course of nearly four centuries. Beer was a main source of sustenance to Delaware's early European settlers, and its production eventually became one of the young colony's first industries. From its humble colonial beginnings, beer production grew to become one of the state's largest and most profitable industries. National Prohibition put a temporary end to the golden age of brewing in Delaware; however, the industry made a modest recovery after repeal. The state's two remaining breweries ultimately fell victim to larger, better funded regional and national concerns. There would be no brewing in Delaware for the next four decades. The remarkable popularity of craft beer in the 1990s fueled a brewing revival in the state, punctuated by Delaware's nationally recognized, award-winning breweries. 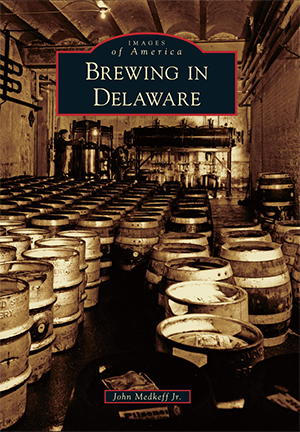 Author and native Delawarean John Medkeff Jr. has been researching and writing about Delaware's brewing history since 1996. Using images from public and private collections, Brewing in Delaware uncovers the fascinating rise, fall, and rebirth of brewing and the culture of beer in the state, from the landing of the Swedes until the present day.